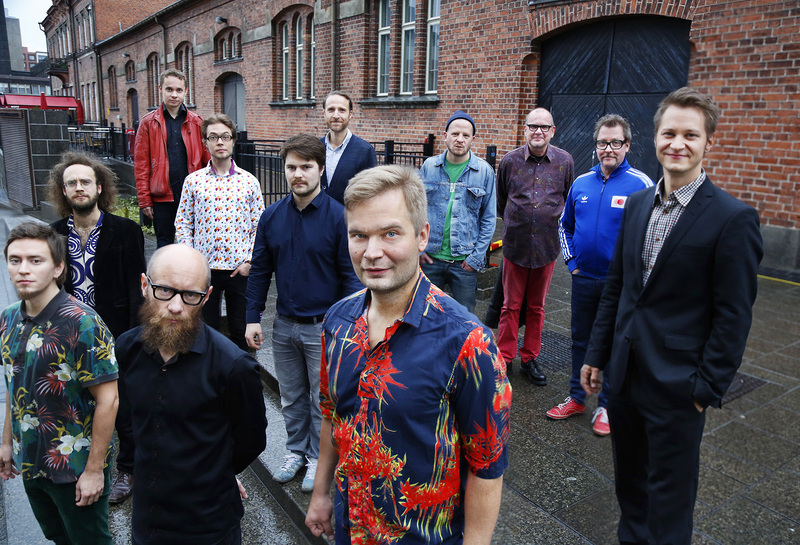 Finnish saxophonist and composer Mikko Innanen realized his long-time dream of leading a large ensemble in November 2012, when his 12-piece Mikko Innanen 10+ played its debut-concert at the Koko Jazz Club in Helsinki. The group comprises his friends, close colleagues and favorite players from the Finnish jazz scene. The music is all composed and arranged by Innanen, ranging from the fast free-bop of “Confessions of a Congressman” to the raging fury of “Song for a New Decade”, the lovely loving of “Looking for Love” and the quirky abruptness of “The Coda of Ornette Coleman’s Blues Connotation and Other Sources of Inspiration”, and most recently to the 45-minute ”Phrygia”, Innanen’s largest composition to date. In November 2014 Innanen and his troupe played a celebrated concert at the Tampere Jazz Happening, which was followed by two international festival presentations in the Spring of 2015 : Vossa Jazz, Norway and Moers Festival, Germany. This year Mikko Innanen 10+ are playing festivals in Finland and expecting their first record to be released.